“The Enemy Within” by Yorgos Tsemberopoulos has started shooting! 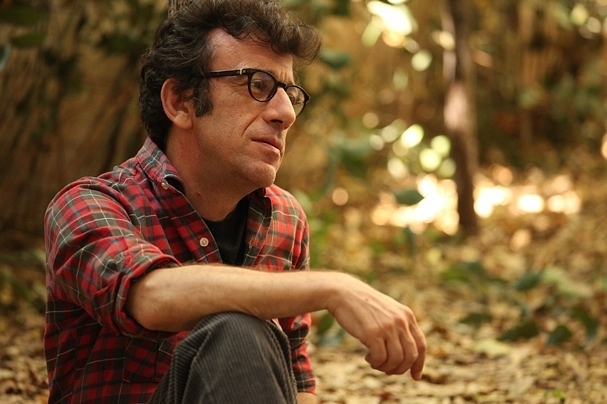 Nothing can beat a beloved filmmaker returning to the director’s chair after a decade, in order to stake his claim on the New Wave of Greek Cinema that needs him now more than ever. We’re talking about none other than Yorgos Tsemberopoulos, shooting his new film “The Enemy Within” as we speak. 48-year-old Kostas Stasinos, the owner of a garden supply store, lives an ordinary life with his wife Rania, his 17-year-old son Andreas (a high school senior) and his 14-year-old daughter Luisa. A forward thinker and an unapologetic idealist since his student years, he has passed his values on to his children. But when his house is ransacked by a gang of hoodlums, his family happiness is destroyed, introducing violence into their everyday lives in the shape of an old rifle. Will his family find the strength to heal their wounds and move on? This is the plot that drives “The Enemy Within”, Yorgos Tsemberopoulos’ new film, who’s back after 12 years in order to tell a story about a disintegrating family that mirrors the social and financial crisis that’s plaguing Europe. "When you become a dad, you try to act responsible. As your kids start to perceive the outside world, you become their protector and their teacher. It’s your choices that create a stable and protected environment and your actions that help your kids gain self-confidence and become worthy members of the human race. At 20, Kostas Stasinos decided to study horticulture in order to change his country’s economy. At 30 he became the father of a little boy and opened a garden supply store. At 40, he had a little girl, took out a loan and bought a small house. At 50, he’s now crawling on the floor like a warm, gagged and tied, unable to protect his wife, daughter and son from the four masked intruders. All my films are about Athens and everyone who lives in it. 10 years ago we all thought it was paradise. Now that our lives have changed and become an everyday struggle, I feel that I’m not longer allowed to beat about the bush. Director: Yorgos Tsemberopoulos / Scriptwriter: Yannis Tsiros / Cinematographer: Vagelis Katritzidakis / Editor: Yorgos Mavropsaridis / Set Designer: Spiros Laskari / Costume Designer: Christina Chatzaridou / Composer: Akis Daoutis / Producer: Eleni Kossifidou / Co-producers: Greek Film Center, ERT SA, NOVA SA. 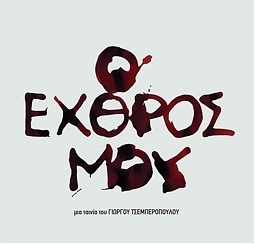 / Starring: Manolis Mavromatakis, Maria Zorba, Yorgos Gallos, Andonis Karistinos, Thanasis Papageorgiou and Ariadni Kavalierou.